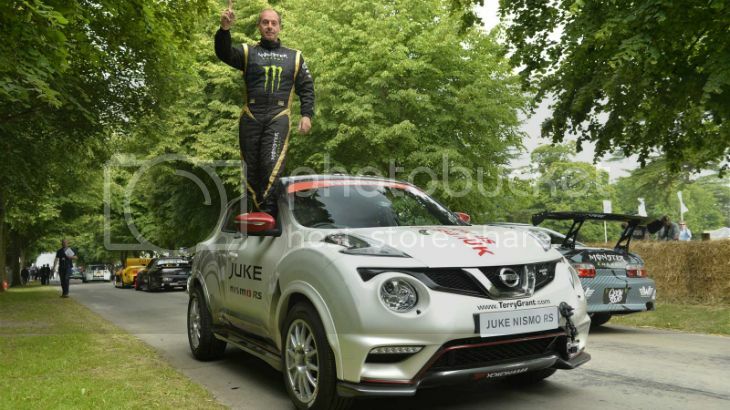 During the festivities at the Goodwood Festival of Speed, the stuntman took a Nissan Juke NISMO RS up Lord March's driveway in an impressive 2 minutes, 10 seconds. Breaking his own world record for the fastest mile traveled on two wheels. He had six chances to pull off the perilous stunt, but only needed one. “To break it by so much on my first attempt was a great way to kick off the weekend and I’m looking forward to seeing if I can go faster,” he said. The new time knocks a solid 45 seconds off the record he set using a standard Juke in 2010, and Grant credited the NISMO go-fast bits for the improvement, saying he was "shocked at how much faster the Juke NISMO RS was." Since MotoGP Champion Valentino Rossi also attended the festivities, Grant wasn't the only two-wheeled pilot at the event, though his run was far more dramatic than the spin the superstar racer champ took on his Yamaha YZR-M1. Radical hybrid race car will compete at Le Mans next year where it could be lapping the circuit quicker than a Ferrari 458 GT. Purely on electric juice.